The practical life area is built around the home environment. 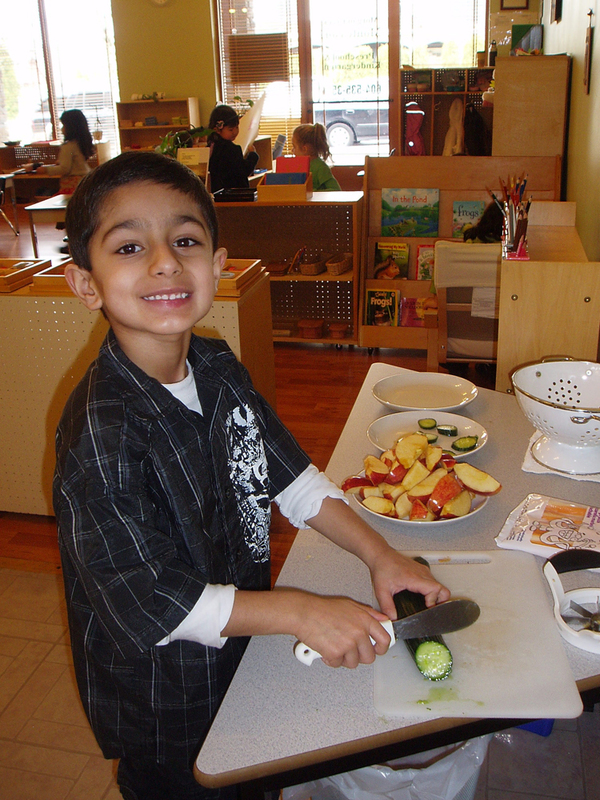 Here the children learn how to participate in real life activities such as washing the dishes, sweeping, folding clothes, and caring for plants. They are doing work that is familiar to them, having seen their parents, grandparents, or older siblings do it at home. This area helps the children build up their concentration. It also serves the purpose to help the children feel a sense of belonging in the classroom and greater independence as they do activities to beautify the environment such as flower arranging and polishing brass. Their independence continues to be built up by using the dressing frames to learn different fastenings such as buttons, zippers, and tying bows.